Jump-starts heavy duty 4, 6 & 8 cylinder gas & diesel engines, trucks & SUV's. Includes one 12V DC outlet, one 2.1A USB port, built-in LED worklight & fuel gauge. Energizer ENC2A - Battery charger/maintainer features 6 volt and 12 volt charging selectivity, with a 7 step smart charging technology that will improve your battery's life cycle. Use for battery maintenance, charging RVs, specialty vehicles, antique and classic cars, marine deep cycle batteries, motorcycles, lawn mowers, ATVs, snowmobiles, personal watercraft and more. Maintains battery charge in stored vehicles and battery applications. Includes two connector sets:Battery clips, and battery ring terminals. 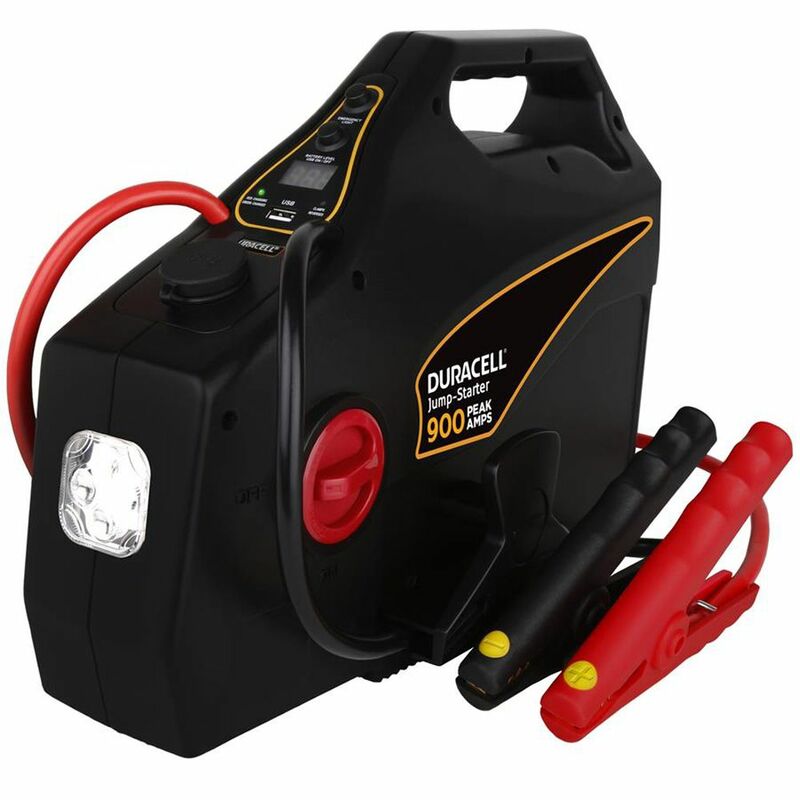 Duracell Jump-Starter 900 is rated 1.0 out of 5 by 1.